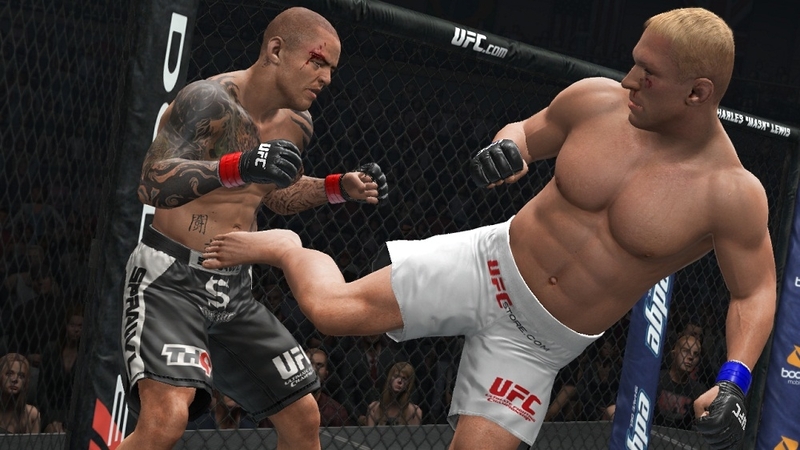 UFC Undisputed 3 is the third game in the new series, and returns after a two-year break. During that extra time, Yukes had many fighters come into their studio, helping to improve animation and really capture the feel of individual fighters. With more fighters, modes, and options than ever, Undisputed 3 is ready to be the best in MMA games once again. Are you ready? Let's get it on, Cmon! I've enjoyed the past UFC games, and have dabbled with the online modes, but usually tend to stick to the career mode, exhibition fights with friends, and relieving past fights with the ultimate modes. All of these features are intact in UFC 3, and are even better with tweaks, plus the inclusion of Pride mode. Soccer kicks, Stomps, and classic fighters are awesome, but what I enjoy the most is the first 10-minute round, giving you a better chance to finish fights in brutal fashion. The roster is great, and features over 150 fighters, as well as the Bantamweight and Featherweight classes, so the roster is more like the actual UFC now, which is really cool. Other fighters can be unlocked via the game's shop, and upcoming fighters will be available with the announced content packs. 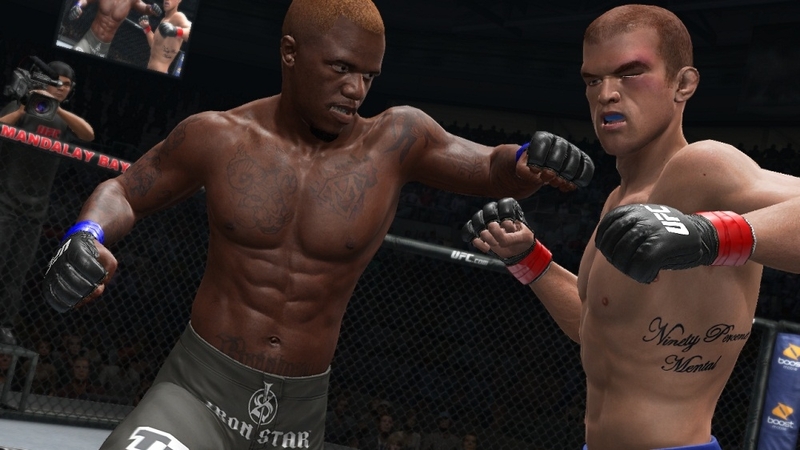 The career mode in UFC 3 has been revamped quite a bit. For fans of the original games, once you check out the new career mode you can already see the positive changes that the developers have made. Stats no longer train over time, so you'll be in better condition for fights, which is really neat. It's also much easier to learn new moves for your fighter, and you're also given a nice selection of moves from different camps like Judo throws and Superman punches. Before you're given a chance to fight for a UFC title, you'll have to work your way through the ranks in the game. For career mode this year, you can choose to either create your own fighter, or use a roster and reshape them for career mode. You could for instance choose Quinton 'Rampage' Jackson and turn him into a submission machine, changing his main attributes and moves which is really neat. Another cool element is you choose to make your own fighter is all of the options you have when making them. There are a default set of names that announcers will say, so whether you fight in Pride or the UFC, announcers will introduce you by name if you choose the list of names. You're also able to customize your entrance too, so you can really make a fighter the way you want to. The fighters look and feel like they should and created fighters don't seem as unrealistic in comparison to actual fighters when you fight them in the game. The big new addition to this game is Pride mode. Pride was a fighting organization in Japan where the toughest fighters were engaged in 10 minute rounds, and had to fight twice in one night. Rules were very different from how they are in the UFC – soccer kicks, stomps, knees on the ground were allowed, so you had to be very tough to fight in Pride. The organization that made Rampage, Wanderlei, and the many Gracie fighters big names is also a really fun mode to play in UFC 3. The online mode returns with fight camps, tournaments, and the ability to use created fighters, and you can also play Pride mode online with friends. An online pass is required, but THQ gives you a limited pass of 7 days so you can check out the online features for a short period of time if you borrow, rent, or buy the game used. 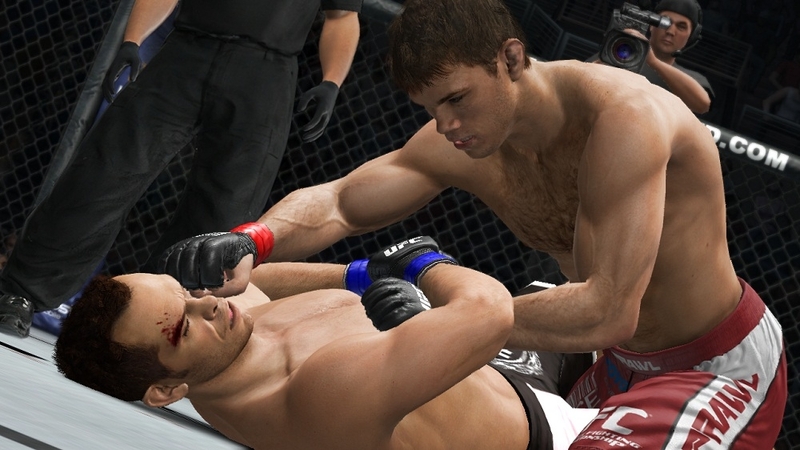 Overall, THQ and Yukes used the two year absence to make UFC Undisputed 3 a better game then Undisputed 2010, while keeping what people loved, and improving on things that people didn't. It's definitely worth a look for fighting game fans, and a must-play for UFC, Pride, or MMA fans in general. "The best-selling franchise returns to take players inside the Octagon™ with UFC® Undisputed™ 3, delivering UFC action focused on intense toe-to-toe combat, impressive visual presentation and increased accessibility. Featuring the addition of PRIDE Mode, a new submission system, new ways to finish the fight and increased accessibility, players will experience intense combat every time they step inside the Octagon."